This set is Ideal for craft, artefacts, and sicker embelishments and it add 3D effect.It performs best on non-porous matte surface. 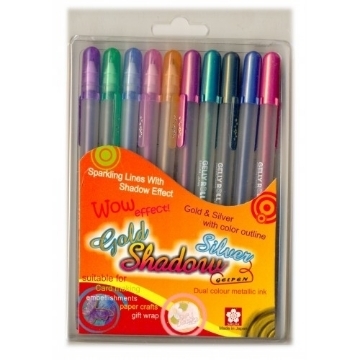 This set includes Gold and Silver with color outliner. It is Suitable for card making, embellishments, paper crafts and gift wrap. This set is Ideal for fun-writing and hobby. 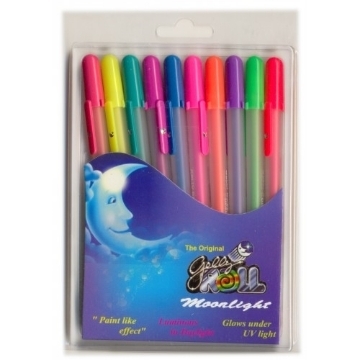 It gives paint like effect, luminous in daylight and glows under UV light. Ideal for darker colored paper like black. 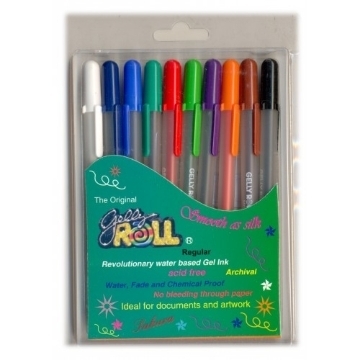 This revolutionary water based gel ink set is Ideal for documents and artwork. Not meant for use on dark sheets or black sheets (as it won't show up on the same). 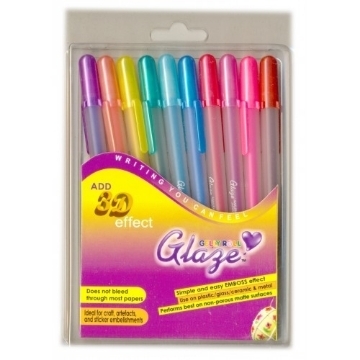 This is a regular set of pens with simple colours.